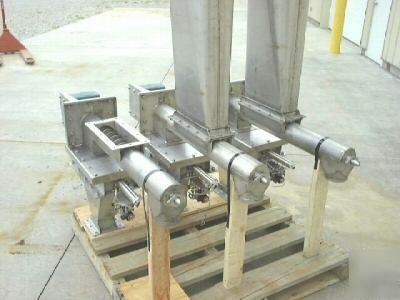 4” ABEL STAINLESS STEEL SCREW FEEDERS. 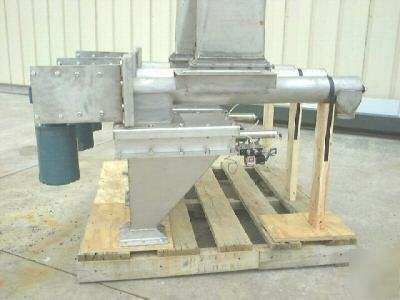 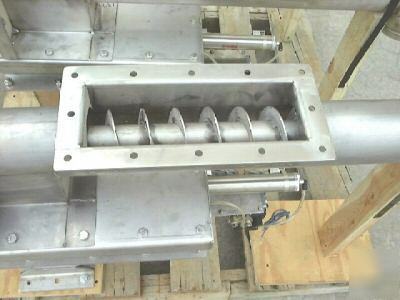 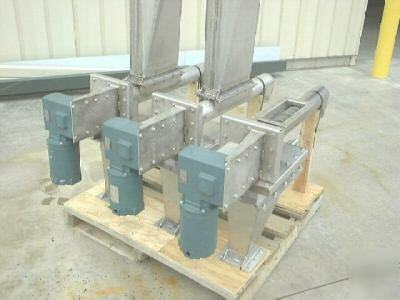 36” LONG SCREW – TUBE; 12” FLANGED INLET; 4” ROUND OUTLET ON TUBE; COMPLETE WITH 1 HP RELIANCE 230/460 VOLT MOTOR AND DODGE REDUCER DRIVES, INLET HOPPERS, REVERSING SAMPLE CLEAN-OUT CHUTE WITH AIR CYLINDER ACTUATED SLIDE VALVE. 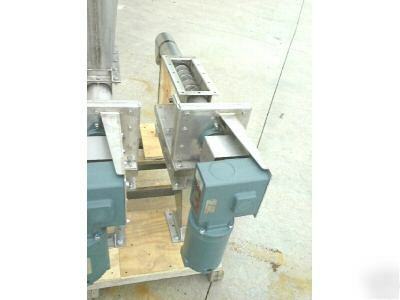 EIGHT UNITS AVAILABLE. 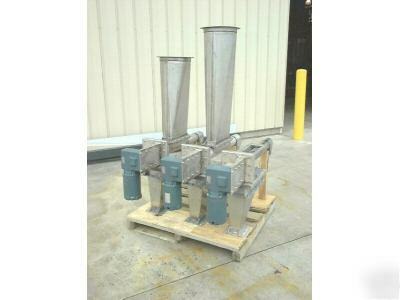 FOR ADDITIONAL ITEMS VISIT J&M INDUSTRIAL AT WWW.JMINDUSTRIAL.COM.